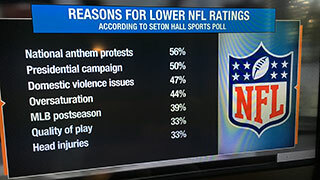 South Orange, NJ, April 15, 2016 — By more than a 2 to 1 margin, the nation believes theNational Football League has not been honest in recent years on the subject of head injuries, according to a Seton Hall Sports Poll conducted this week. While 26% believe the league has been honest, 58% feels it has not been. 16% said they did not know. 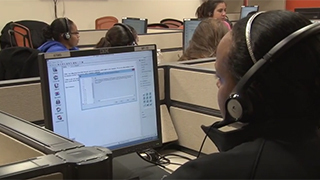 The poll was conducted among 730 adults on both landlines and cellphones across the nation. (There is a margin of error of +/- 3.7%). 29% – nearly a third – now view the NFL less favorably, with 56% saying the matter has had no effect on their feelings about the league. (7% see it more favorably). 51% feel the NFL is not doing enough to protect its players from concussions and head injuries (vs. 35% who feel they do), and 54% feel they do not do enough for retired players who suffer from brain injuries (vs. 22% who feel they do). These “not doing enough” numbers are up 10% for both active and retired players since the question was last asked, in October 2014, by the Poll. 49% feel the sudden retirement of the New York Jets lineman D’Brickashaw Ferguson will raise awareness of the subject of head injuries. And a whopping 80% feel that greater precautions should be taken by high school and college programs to limit concussions. When asked “If your son wanted to play football…..” only 21% said they would enthusiastically encourage it, 56% said they would cautiously allow it, and 18% said they would absolutely forbid it. Among men, it was 30% (encourage), 49% (allow), 18% (forbid), while among women, it was 13% (encourage), 62% (allow), and 19% (forbid). While a national dialogue on the matter of equal pay for women plays out on the Presidential campaign trail, on the matter of members of the US Women’s Soccer team (World Cup champions), receiving comparable pay to members of the Men’s team, 73% indicated they should receive the same pay, with an additional 11% saying they should receive more. Only 8% said they should receive less, as they currently do. Men strongly support equal pay, with 69% of them approving, while 76% of women concur. With the NBA Commissioner saying he would like to raise the minimum age to draft players from 19 to 20, this effectively meant college players would have to complete two years, not one. 55% of respondents agreed with the two years of college plan, with only 13% supporting one year. The Poll asked this question in March, 2014, at which time 54% supported two years, and 19% supported one and done. The Poll asked if interest would change if college athletes were compensated, and 64% said their interest would remain the same, with 24% saying it would decrease and only 11% saying it would increase. Asked if they would be be interested in seeing a further growth of hockey on the college level, 44% indicated they would be either somewhat interested (28%) or very interested (16%), with 51% saying they were not interested in that. ENDORSEMENTS BY PGA GOLFERS AN INFLUENCE? Asked how likely they would be to buy a product endorsed by some leading PGA professionals, Phil Mickelson’s 24% “likely” rated highest among the five players listed, with Tiger Woods receiving 21%, Rory McIlroy 19%, Jordan Spieth 17% and Master’s winner Danny Willett 9%. The “not likely” tally came in at 62% for Woods, 61% for Willett, 56% for Spieth, 55% for Mickelson and 54% for McIlroy. Mickelson also scored highest (46%) among those identifying themselves as fans or players of golf (38.5% of all polled). 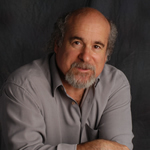 Rick Gentile will be interviewed by Seth Everett for a podcast on the poll’s findings. Links will follow upon completion. This poll was conducted by telephone April 11-13 among 730 adults in the United States. The Seton Hall Sports Poll is conducted by the Sharkey Institute. An NFL Executive Vice President has suggested that there is a link between football and severe brain injury. Do you think the league has been honest about this link in dealing with the subject of head injuries for the past few years? Has the league’s handling of the controversy concerning brain injuries made you feel more favorable to the NFL, less favorable to the NFL or has it not affected your view of the league? Do you think the NFL is doing enough to protect its players from concussions and head injuries? Do you think the NFL has done enough for retired players who suffer from brain injuries after sustaining concussions during their playing days? NY Jets offensive lineman D’Brickashaw Ferguson just announced his retirement after never missing a game for his entire 10-year career. He had stated that he was troubled by the NFL’s downplaying the long-term effects of concussions. Do you think his retirement will raise awareness of the subject of head injuries or not have any effect on awareness? Do you think greater precautions should be taken by high school and college football organizations to limit the number of concussions by student/athletes, or is enough being done? If your son wanted to play football would you enthusiastically encourage it, cautiously allow it or absolutely forbid it? The Commissioner of the NBA has said he wants to raise the minimum age for eligibility to the NBA draft from 19 to 20. In effect, this means players would have to finish two years of college before becoming eligible instead of one year as it is now. Do you think they should leave the rule as it is now at one year, change to two years, or have no limits for when a player can be drafted? If collegiate athletes begin to receive salaries would your interest in following college athletics increase, decrease or remain the same? Collegiate hockey has seen more participation recently. How interested would you be in seeing further growth of hockey on the collegiate level, very interested, somewhat interested or not at all interested? Members of the US Women’s Soccer team have filed suit against USA Soccer because despite winning the Women’s World Cup they received about one quarter of what the men, who finished 15th, received. Do you think the women should receive more than the men, the same as the men or less than the men? Do you either play golf, follow golf or watch golf broadcasts? 14. How closely would you say you follow sports, very closely, closely, not closely or not at all? This entry was posted in Advertising, Basketball, Football, General News, Golf, Hockey, Poll Results, Sponsorship, Sport and tagged Advertising, NFL, Poll Results, Seton Hall Sports Poll, Sharkey Institute, Sponsorship, Womens Soccer Pay on April 15, 2016 by Michael Ricciardelli. South Orange, NJ, March 28, 2016 — Nearly a quarter of the US population is more likely to buy a product endorsed by an athlete involved in a prominent sporting event, according to the latest Seton Hall Sports Poll, conducted last week. 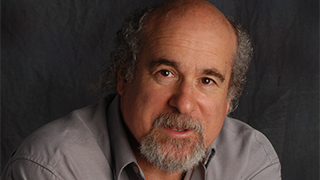 “People don’t consciously respond to what influences them by advertising, so this is a large number,” said Rick Gentile, director of the poll, which is sponsored by The Sharkey Institute. 22% of the 681 adults responding (by both landline and cellphone, across all states), acknowledged that the athlete endorsement matters, and while 71% said “no,” advertisers have long known that many people say no and mean yes. 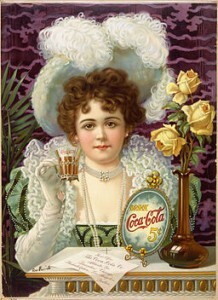 Indeed, the use of celebrity athletes as endorsers goes back to the 19th century, when Cap Anson, Al Spalding, Mike “King” Kelly and John L. Sullivan had their images appear on advertising. (The poll’s margin of error is +/- 3.8%). The poll playfully asked who among the Presidential contenders would have the best chance of leading a basketball team to a Final Four berth, and for this, Donald Trump’s 27% led the field, with Bernie Sanders garnering 17%, and Hillary Clinton 16%. Trump had a wide advantage among male respondents (33%, with Clinton getting 11%) but among women they were virtually the same (he: 21%, she: 20%). The Trump support was consistent among all age groups, and there was little difference between people who closely follow sports or who don’t at all. “Some of Trump’s campaign themes fit into the competitiveness of sports,” said Gentile, noting his fondness for declaring winners and losers. 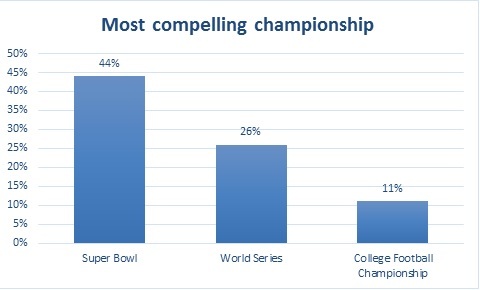 The Final Four is the sports event most anticipated by the public at this time, with 39% citing it, with 29% citing baseball’s Opening Day, and 14% the Masters golf tournament. And when asked which they are following more closely, only 20% cited the NCAA tournament, while 68% named either the Republican (44%) or Democratic (24%) primaries as most closely followed. And despite all the talk of “filling out a bracket,” only 9% of the public says they are participating in polls involving money for this year’s NCAA tournament. 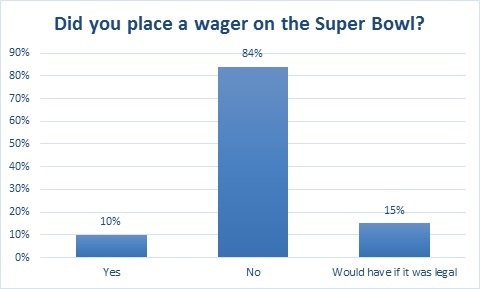 On questions of legalized sports gambling, the public overwhelming felt it should be decided at the state level (68% vs. 21% federally regulated), and 63% felt that betting on sports should be legal (vs. 29% opposed). This poll was conducted by telephone March 21-23 among 681 adults in the United States. The Seton Hall Sports Poll is conducted by the Sharkey Institute. 1. Which would you say you are following more closely, the NCAA Men’s Basketball Tournament, the Republican Presidential primaries or the Democratic Presidential primaries? 2. Whom do you think make better role models, the student/athletes competing in the tournament, the coaches of the tournament or the politicians running for president? 3. Which Presidential contender do you think would have the best chance of leading a basketball team to the Final Four, Hillary Clinton, Donald Trump, Bernie Sanders, Ted Cruz or John Kasich? 4. Which coach of a number one seed in this year’s tournament do you think would make the best President, Kansas’ Bill Self, North Carolina’s Roy Williams, Virginia’s Tony Bennett or Oregon’s Dana Altman? 5. Are you participating in pools involving money for this year’s tournament? 6. Do you think the publishing of point spreads encourages gambling in the tournament? 7. Do you think states should be free to decide whether to legalize betting on sporting events or should sports betting be regulated by the federal government? 8. Do you think sports betting should be legal? 9. Which upcoming sporting event are you most looking forward to, baseball’s opening day, college basketball’s Final Four or golf’s Masters Tournament? 10. Collegiate athletes are not allowed to endorse products. Do you think this is fair? 11. Are you more likely to buy a product if it is endorsed by an athlete involved in a prominent sporting event? 12. How closely do you follow sports, very closely, closely, not closely, or not at all? 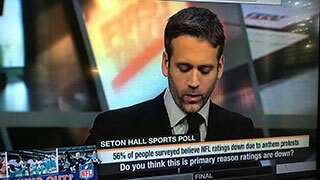 This entry was posted in Advertising, Gambling, Poll Results and tagged Advertising, Fantasy Sports, Gambling, Presidential Elections, Seton Hall Sports Poll, Sharkey Institute, Sponsorship on March 28, 2016 by Michael Ricciardelli. Super Bowl 50 Advertising, are you Paying Attention? According to the most recent Seton Hall Sports Poll, a whopping 68% of all Americans plan on watching Super Bowl 50. That’s roughly 218 million people, not counting the international numbers. Well, because it’s the Super Bowl. But given a choice of reasons, “I’m a football fan” and/or a “fan of one of the teams playing” account for only 59% of all Americans who plan on watching. 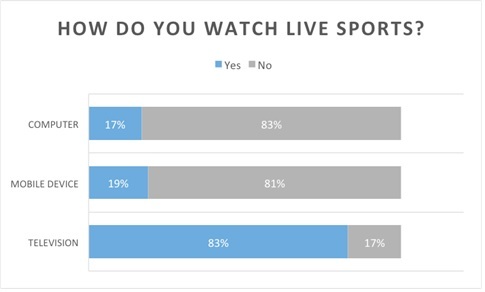 And, sponsors take note, a full 10% of those who said they would be watching say they will do so because they are “interested in seeing the commercials.” And 18% because “it’s a big event.” That’s 28% (approximately 61 million people) who will be watching and are not doing so primarily to watch football. They are watching to be entertained. We also know that 55% of everyone watching (118 million people) say they’ll watch the Super Bowl commercials closer than they normally watch commercials. Because, well, Super Bowl commercials have come to be a part of the entertainment. 85% of people say that a sports sponsorship doesn't affect their decision to buy that brand (Seton Hall Sports Poll). Too low for $ spent. Rovell is right. That’s just way too low a number to be possible for all the money spent. But remember, these numbers reflect what people think and what they say, not how they behave or what they ultimately do. As for the ROI on dollars spent on advertising to over 200 million people, many of whom are watching for the express purpose of being entertained by your ad? This article in Ad Sense breaks it down, and the number of repeat advertisers speaks volumes– as does the number of new advertisers launching a product campaign. And ultimately, it’s about brand awareness. You may not run out to buy that product on Monday, but you (and close to 220 million other people) will be aware of it. And that’s a first and crucial step in product marketing. This entry was posted in Advertising, Football, Media, Sponsorship on February 2, 2016 by Michael Ricciardelli.